All you hear about is Balayage, but what is it exactly and is it right for everyone? The are a few unanswered questions about this beautifully glamorous colouring trend that has swept the nation. Balayage is a technique not a look, Balayage is how a look is created, a skill that must be learnt and practiced to perfection. Originating from the French word meaning “to sweep” the technique involves painting the surface of the hair to mimic the way hair would naturally lighten in the sun. Each ‘highlight’ is painted individually by a skilled hand. The effect on the hair is determined by how much colour is applied to the hair, how saturated the ends of the hair and the pressure applied to the hair when applying the colour. There can be 1, 2 or 3 points on the starting area of the section, all the hair on the ends covered in colour giving ombre result or leaving hair between the sections and more negative space (darker hair) resulting in a more naturally highlighted affect. The service is totally bespoke, everyone will be different and often multiple sessions are needed to give you that lived in look you are craving. Now you know the technicalities, is it for you? 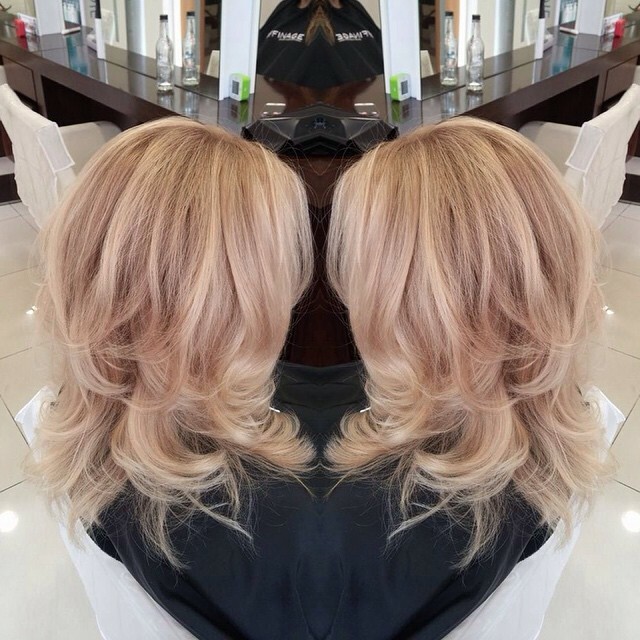 Balayage is great if you want to brighten up your natural hair and a classic application will do this perfectly. Balayage is very low maintenance! Because your hair has less hair painted near the roots and more near the ends, hair effectively starts off with roots. This great if your busy or don’t want to have your hair coloured all the time. Balayage grows out very naturally you don’t get visible regrowth. Balayage can be kinder to the hair. It looks more natural and youthful. Can make fine hair look fuller by adding dimension. Can give thick hair movement and look multidimensional. Not all the hair is coloured, if you don’t like your base colour it won’t cover it. If you are very grey it may not be possible, or you will need a retouch as well as balayage. If you like your hair very ashy, with all ash colours you will still need to maintain the tone with glazes regularly. Not all ‘Balayage’ looks are achieved with Balayage, many are created with foils as you can have more control and more lift. Don’t limit your stylist to one technique if you bring an inspiration picture. Hair can and will lift warmer free hand than in foils as the colour is not insulated and lifts in a different way. Still not sure if balayage is for you, or have more questions? globally renowned Balayage pioneer Jack Howard. 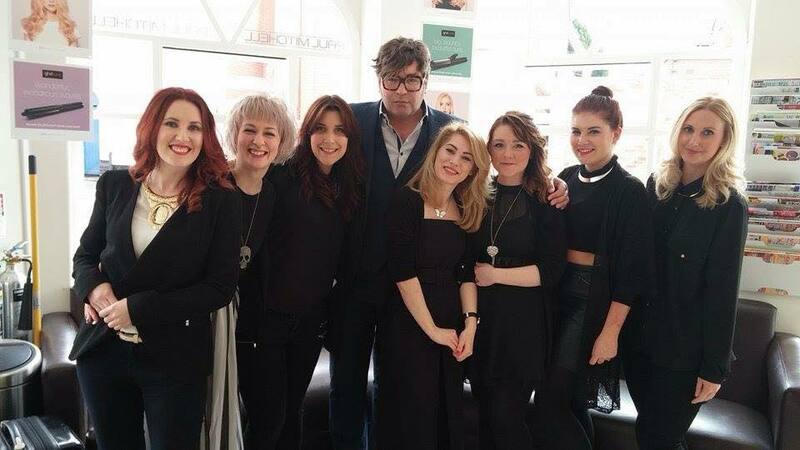 This week we had the amazing Jack Howard SRS hold and exclusive day of Balayage Education at Cocco Salon for the whole team! Hayley our Creative Director first met Jack back in 2014 when she travelled to London & trained with him in the beautiful French technique. She invited him to Cocco Salon to educate the whole team as the demand for Balayage just keeps growing! 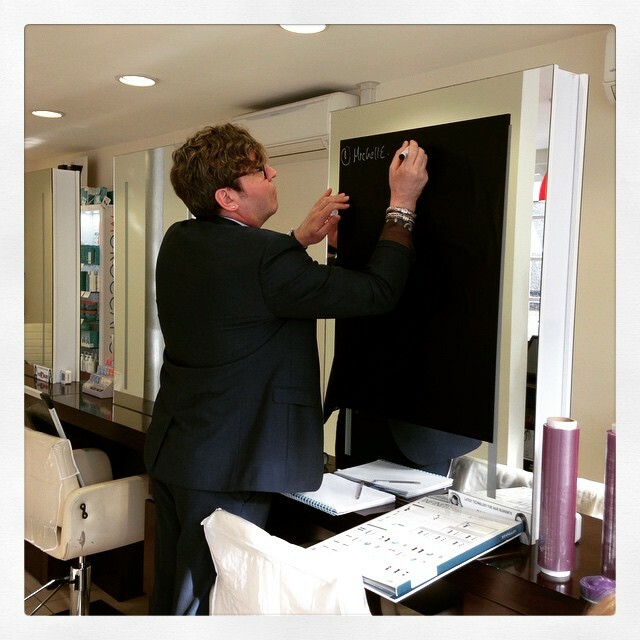 We are privileged that Jack has given us exclusivity for training and education in Derbyshire and we will continue to renew our knowledge and expertise as new trends evolve and bring them back to our salon, keeping our clientele at the forefront of new trends. 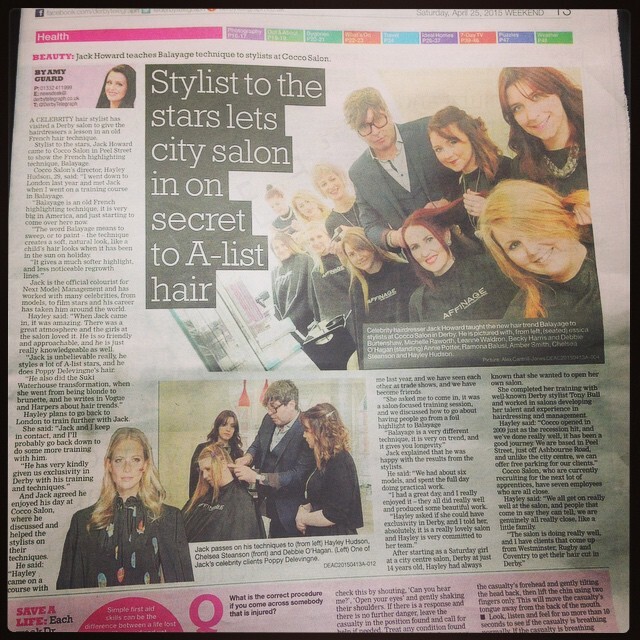 We are super proud to be the only salon specialising to such a high level in Balayage in Derbyshire and the Midlands. What Jack Says About Balayage?